I love when people read my book and write a review about it. I couldn’t be any happier with this review from Mommy’s Gone Shopping Again blog. 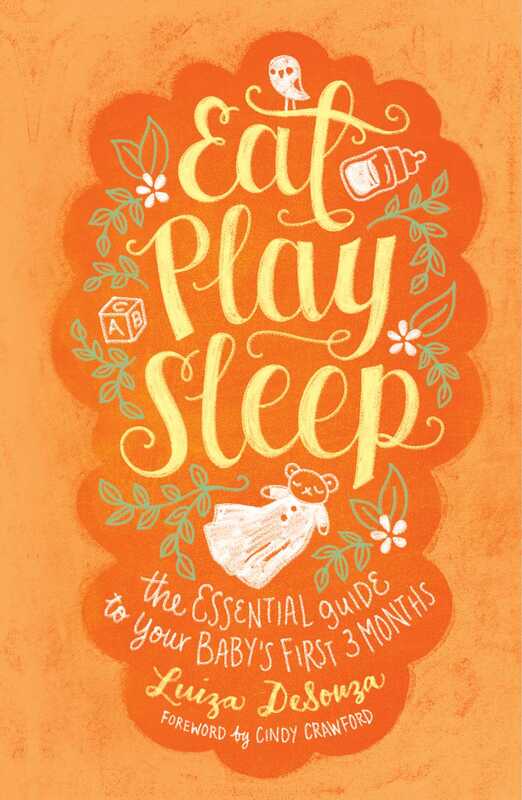 We received a complimentary copy of the book, “Eat Play Sleep: The Essential Guide to Your Baby’s First 3 Months” by Luiza DeSouza for our review. All opinions are our own. From a caretaker of newborns who’s had years of hands-on experience with celebrity clients, comes this practical and reassuring guide to the first three months with your new baby. Are you a new or soon-to-be new mother? Are you caught between self-doubt and conflicting parenting advice coming at you from every direction? Are you unsure who to trust—your mother, sister, friends, or “the experts”? Luiza DeSouza is here to help you help yourself. Her best advice? Take your time, trust your maternal instincts, and choose a course that fits your needs—and your baby’s personality. For thirty years, Luiza has been helping new mothers navigate the skills, practices, and support it takes to start a family. For her, mothering is not about programs or techniques. Rather, it is about the connection between you and your new child. And for that reason, she believes that attitude is more important than approach. All mothers are different, but the three most important qualities remain the same for everyone: patience, openness, and attentiveness. Can being patient, open, and attentive guarantee that your baby will be a good sleeper or easy to feed? Of course not! But no matter what challenges your newborn brings, these three key qualities will help you rise to meet them. Like having your very own baby nurse right at your side, Eat, Play, Sleep is an indispensable guide to a good start and a happy, healthy first three months. As a parent of two kids, I learned shortly after my oldest that each child is different and that you learn to adapt to their rhythms, not your own. That is one of the reasons I love this book is that the author feels the same way! She gives practical advice! In her book, she shares how to create a calming ritual and proper bathing/massage techniques. She also talks about your connection with each child, since they are different. Just because your oldest did everything on this schedule (sleep, development, etc), it doesn’t mean the others will. I’ve seen too many parents who gage everything the youngest do to what the oldest did and that wasn’t fair. As a Mom who used both disposables and cloth, I was really glad to see that she mentioned both of those options! So many authors don’t! They are either 100% one way or the other. She also promotes taking care of yourself. I know as a new Mom how hard that is because you feel like you a depriving the baby, when in all actuality, you are depriving yourself! If you are looking for a medical what to do/not to do book for the first three months of the babies life, then this isn’t the book. However, if you are looking for a practical guide, then this is the book for you! This would also be a great gift for a soon to be new Mom!